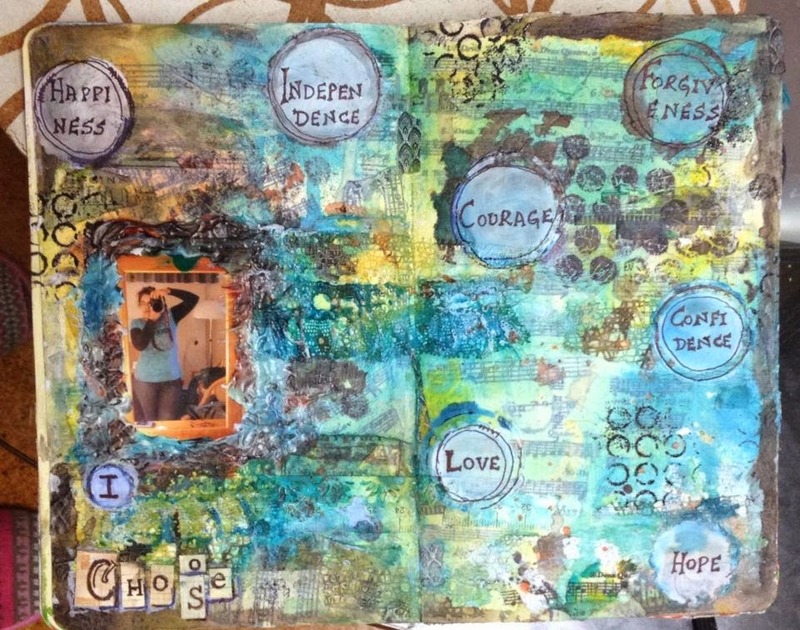 Follow this link for the Winner and Featured Creations of Challenge #21. 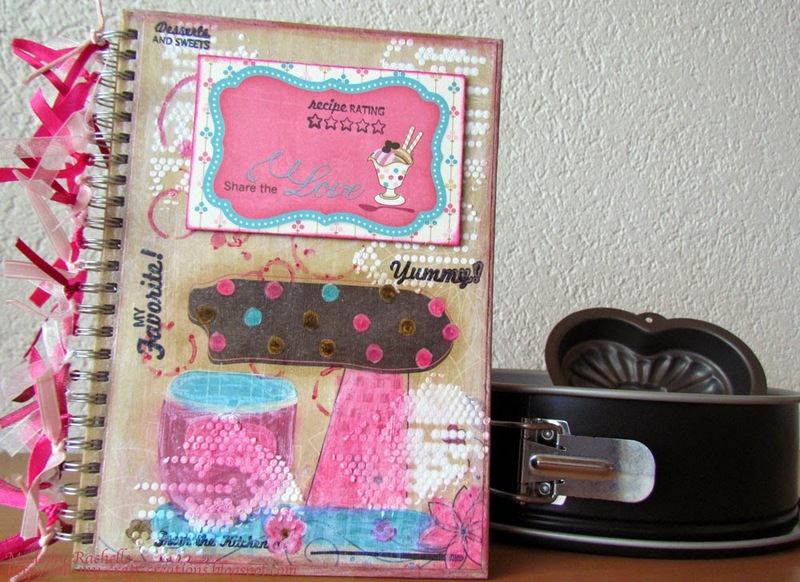 You can create a - Layout, Card, Canvas, Mini Album "Off the Page" creations. Must be newly created as of 25th of July 2014. This challenges is due Thursday 7th August 2014, 23:55pm European Time. Das ist mein DT - Beitrag für #22 AG. Ich habe mein Schulranzen gewerkelt, mit 2 passenden Schulhefte im DDR-Retro-Style, die Hefte dienen als Mini-Album zum selbst verzieren. This is my DT-Creation for Challenge #22. I have found two matching exercise books in DDR-Retro-Style in my School bag. I have decided to make mini-albums and to decorate the books. I created a recipe book for my daughter. She is living with us and are thinking of getting her own place. (wonder what I will do with her room)....... after I will cry my eyes out. ;-) No birdies in this nest anymore. I am decorating the pages. I will post the pages on my blog. I used Bo Bunny Paper - Sweet Tooth, stamps and gesso. 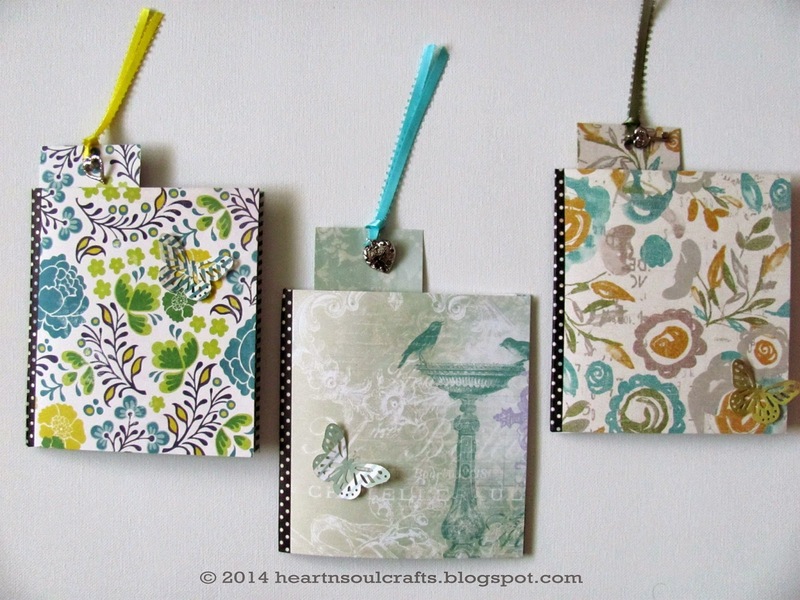 I made journals and book markers as little gifts for back-to-school. 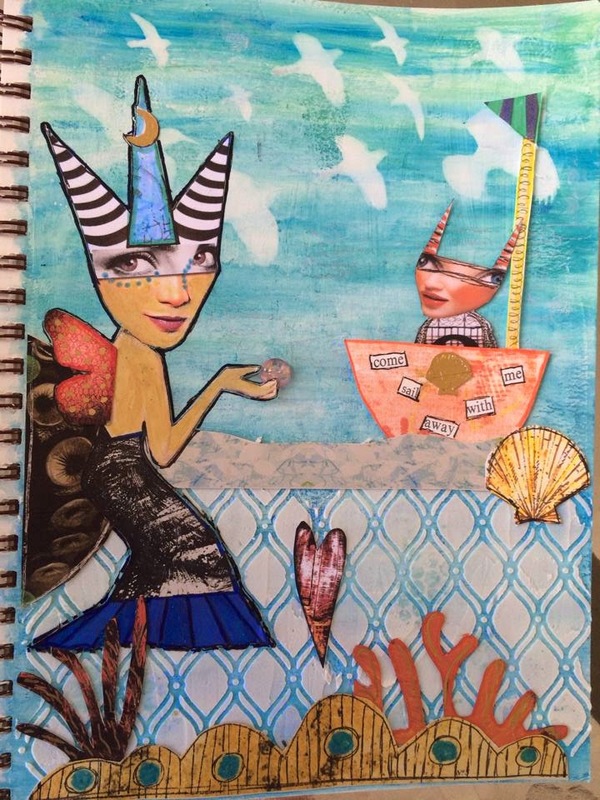 I used pattern paper by Prima, My Mind's Eye, and Bo Bunny. Hi Susan, thank you for your entry and lovely comment! Hi Beebeebabs, thank you for your lovely entry and comment. Hi ladies, i love your dt creations, they are stunning! I like to try some of the ideas once thank you for the inspiration! I'm entering with a box-card i made for my uncle. Hi Maia, thank you for your lovely entry and comment! 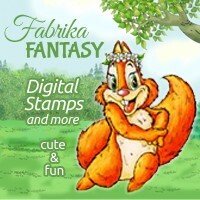 For sharing your lovely project. Hi Pamellia, welcome and thank you for your lovely entry and comment. Hi Kathy, thank you for your lovely entry and your comment!